Happy Monday Ladies! It has been a while since my last post and I've missed you all. Anyway, I have been getting really bad breakouts on my face in the last couple of months. It shows up particularly on my chin, left cheek and between my brows. I didn't know what caused it so I decided to change my skin care routine and thankfully it helped. I came across a video which talked about face mapping and what it says about my health. I then found out what were the main causes of my breakout and started to change my food intake. So basically, I started drinking Green Tea more often, at least twice a day and I also started taking Grapeseed supplements as my antioxidants. I stayed away from fast food as much as possible and ate more fruits. 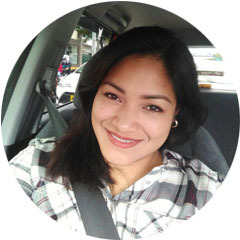 Lifestyle basically plays a big role in taking care of your skin, so changes are needed. So aside from adjusting my food intake, I also changed cleansers. I am still using a cleansing water to remove my makeup like I always do but this time I am trying out another brand. It is the SAEM Healing Tea Garden Green Tea Cleansing Water. It basically works the same as other Micellar Water makeup removers, but this time it is from a Korean brand. I also changed my regular face wash to the Innisfree Jeju Volcanic Pore Cleansing Foam. This is the third foam type cleanser I have tried and I must say it's awesome. This cleansing foam does not have any strong scent, it is fragrance-free. It does not leave my face feeling tight or dry, but it gives a really squeaky clean feel to it. A little goes a long way with this cleanser, since I only need a pea sized amount and just massage the foam all over my face. When it comes to skin care there are a lot of amazing Korean beauty products out in the market. So, I am slowly trying out a few products from various brands. 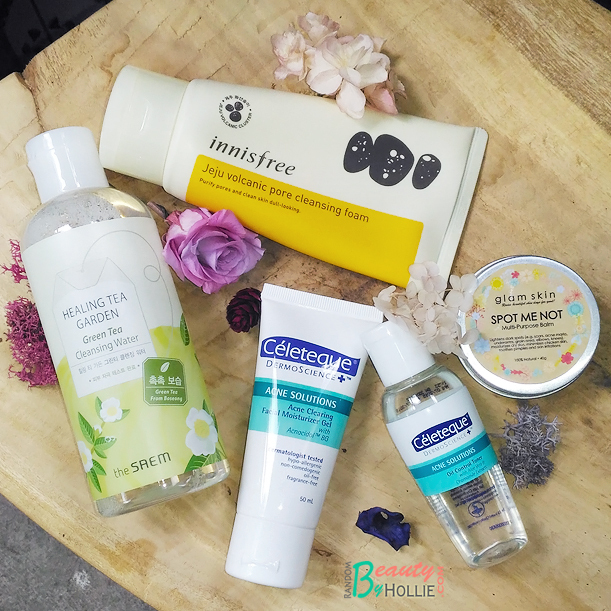 I also changed my Toner and Moisturizer but I still chose Celeteque since it is a brand I trust with my skin. I have been using their Hydration line for years and this is the first time I used the Celeteque Acne Solutions line. 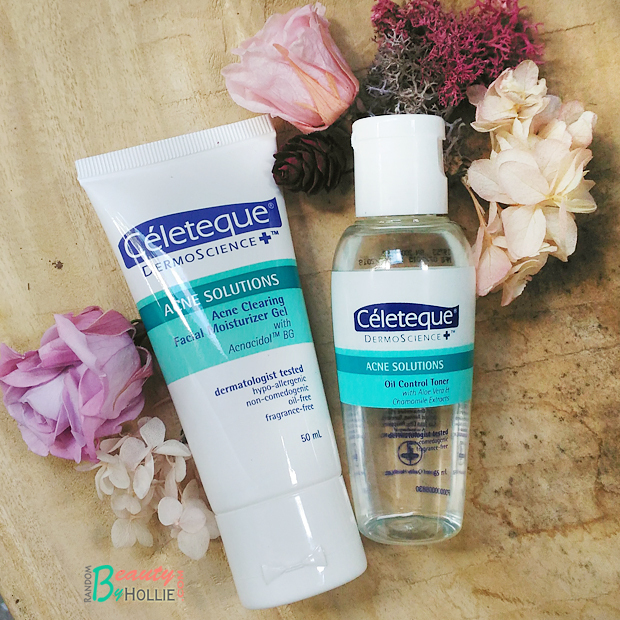 The Celeteque Acne Solutions Oil Control Toner feels a little different from their other toners as this one seem to have a bit of alcohol content to it and other acne fighting ingredients. The good thing is, it does not sting my face, it feels very mild and still feels like water. I also noticed that this toner also removes excess dirt that wasn't removed from the cleanser, which is a good thing. In addition to that, I think this toner helped flatten my pimple bumps. I then finish my routine with the Celeteque Acne Solutions Acne Clearing Facial Moisturizer Gel. Like the toner, this one is fragrance-free, feels really mild as well and no stinging. What really amazed me was the fact that it really help reduce sebum secretion on my skin. Usually when I wake up in the morning, my face would look like a grease ball especially in my T-zone area. However, with this Acne Clearing Moisturizer that I apply day and night, I barely notice any sheen on my face when I wake up yet it still looks well hydrated. It's just amazing. 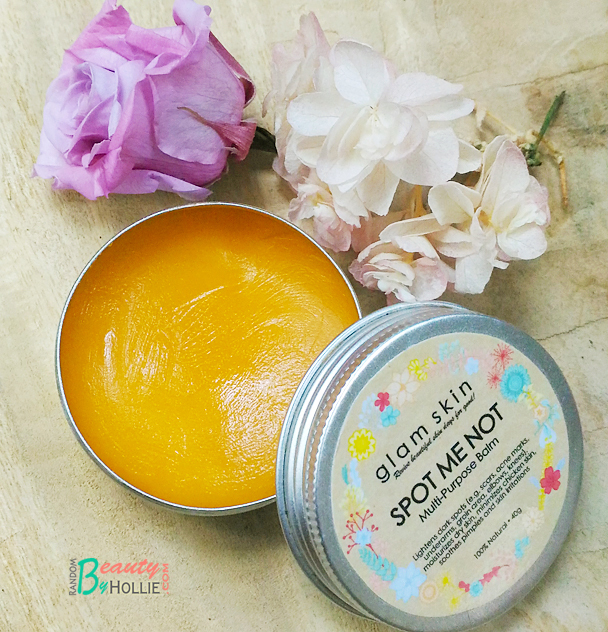 Lastly, to lighten my acne scars, I use the Glam Skin Spot Me Not Multi-Purpose Balm. I have been using this organic balm for a while now to lighten scars as well as my underarm area. It is very affordable and has proven to be quite effective. It even lightened my husband's chicken pox scars. You can find them on Instagram if you're interested. Finding skin care products can be scary at times, especially if you have sensitive skin. Just do your share of research before deciding on a product. A lot of skin care products are widely available in the supermarket. If you love online shopping you can opt to shop womens skincare Products from Zalora or any other trusted sites as well. Also just a tip, especially for those who are fond of shopping online. You can actually save more and get extra savings from voucher codes since most online shops has them. 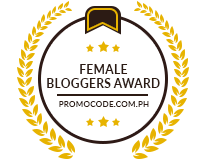 Try visiting sites like https://ph.paylesser.com// to get free discount vouchers on the most popular online shops here in the Philipines. Wow. 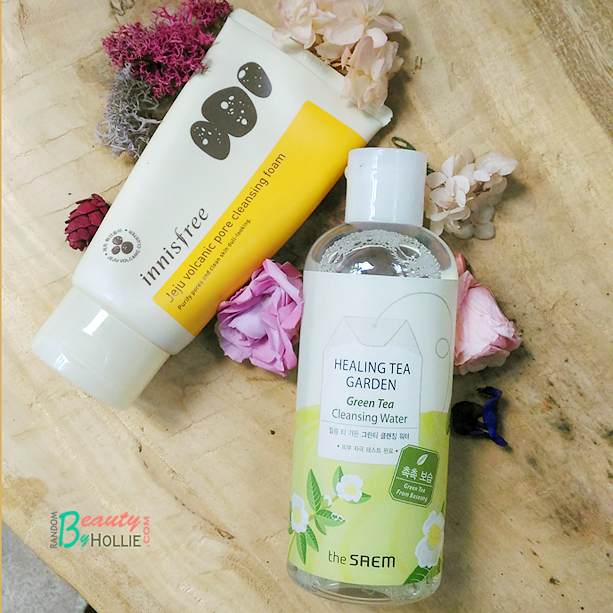 Innisfree foam cleanser and green tea cleansing water seem really good. Thanks for sharing. @Belle, yes I really do feel that these products are doing great things for my skin. I've just recently jumped in the Korean Skin Care craze and I now understand why more and more women are getting to it. You should try some korean skin care, they work well. Yes, cge that would be awesome. Will let you know once I it is up. These products look lovely! I haven't tried them before, but that balm looks really tempting! @Stephanie, yes it smells lovely and it works! I'm using Celeteque facial wash and I love how soft it is to my skin. @Maria, glad your skin agrees with Celeteque. I think I wanna try that Glam Skin Spot Me Not Balm. I need some help lightening my acne scars. Thanks for the reco!